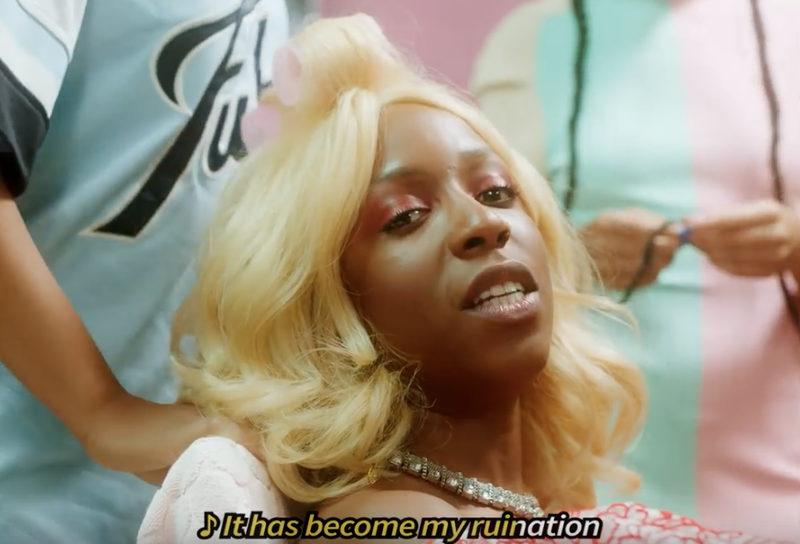 DEEWEE-protégée Charlotte Adigéry snatches all the wigs with her ridiculously fun “High Lights”, taken from her forthcoming EP “Zandoli”. Underneath the colourful, synthetic glow and nonchalance, there are themes of identity, culture and all the visual codes that come with exploring and expressing yourself within these signposts. Aside from Charlotte' Adigéry’s own unmistakable star power, can we take a moment to appreciate how the DEEWEE universe is becoming a uniquely generous hub for small miracles like these to come into being? First of all, the production on this track is so crisp and rich, it’s borderline OCD (in a good way). Secondly, the playful art direction by DEEWEE’s go-to Parisian wizards Ill-Studio lifts the video to a whole new level. And last but not least: the collaboration between Charlotte and DEEWEE-regular Bolis Pupul has a chemistry that is snatched from the jaws of randomness to create a work of love. Charlotte Adigéry is part of NME’s 100 of 2019 and is currently opening for Neneh Cherry on her Australian tour.